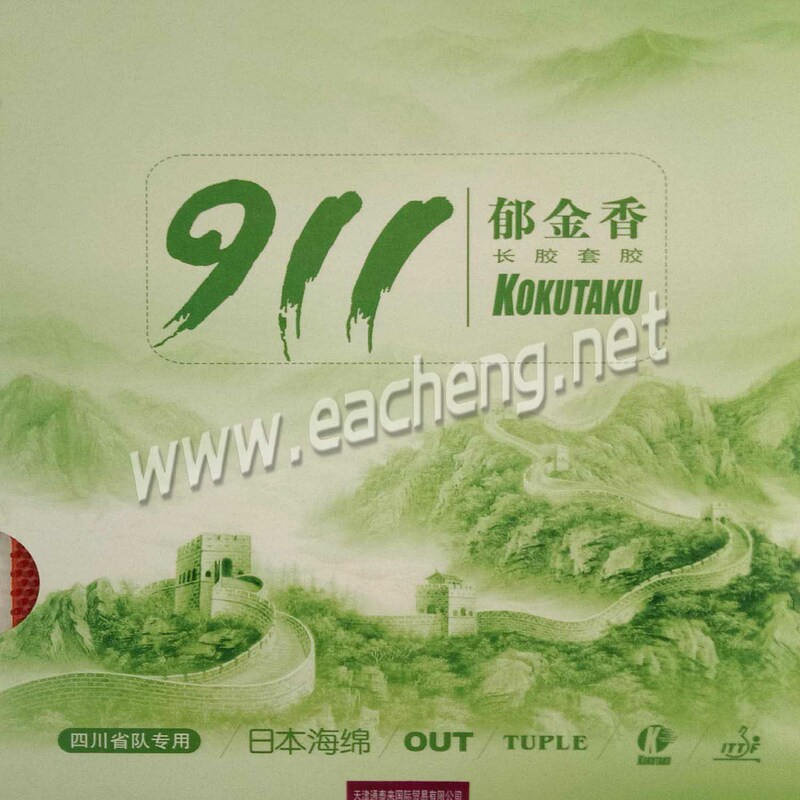 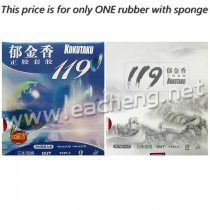 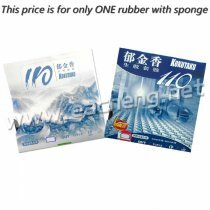 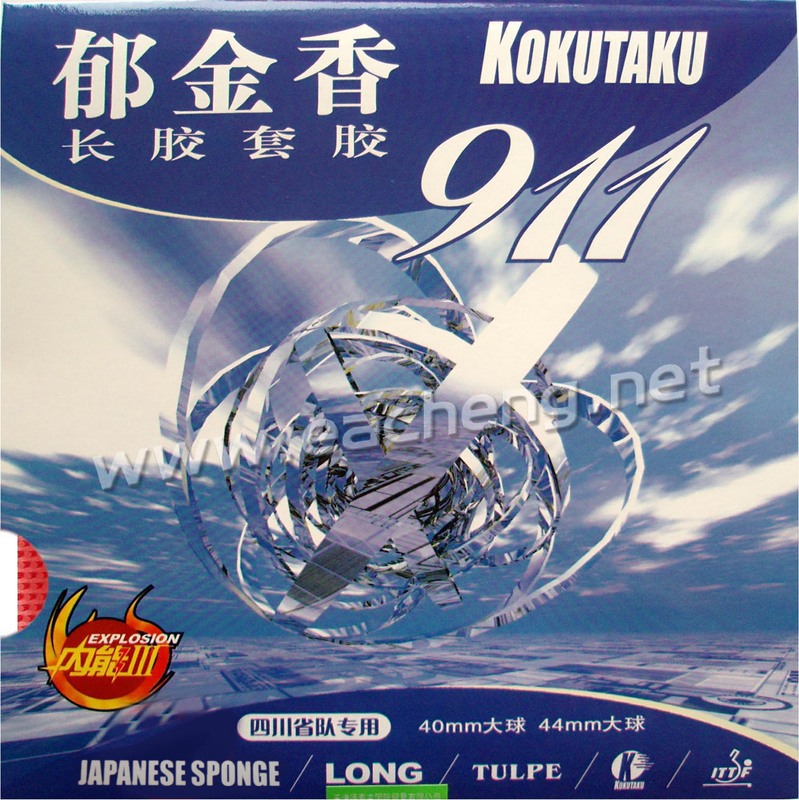 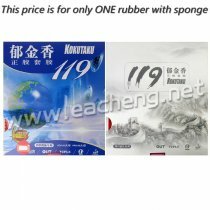 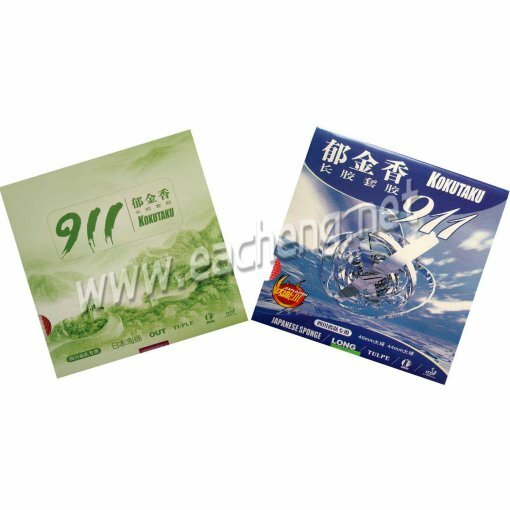 Kokutaku 911 Long Pips-Out Table Tennis Ping Pong Rubber with Sponge. 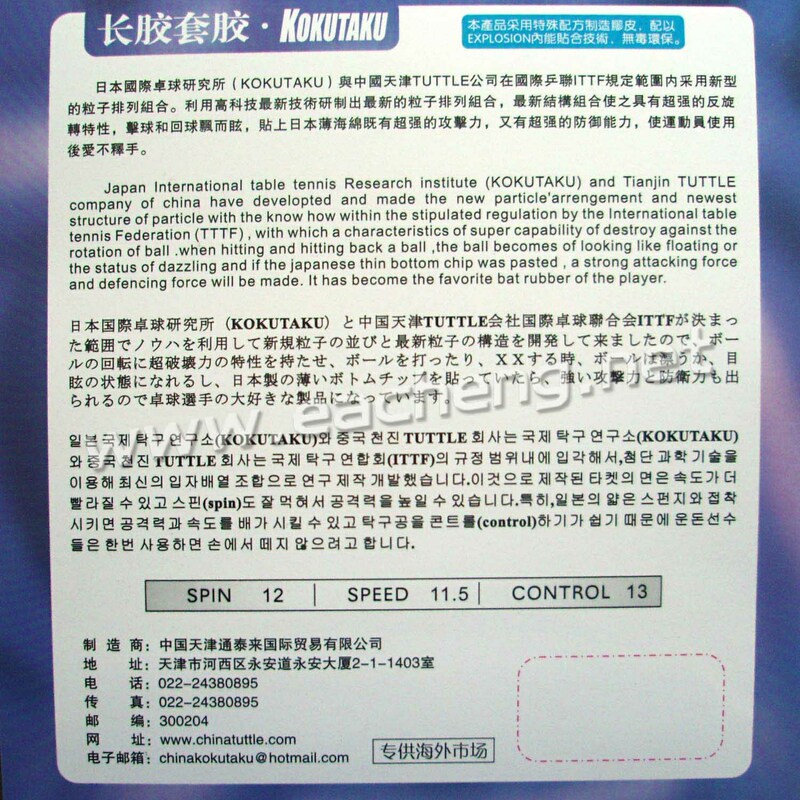 Japan International table tennis Research institute (KOKUTAKU) and Tianjin TUTTLE company of china have developed and made the new particle’arrengement and newest structure of particle with the know how within the stipulated regulation by the International table tennis Federation (TTTF), with which a characteristics of super capability of destroy against the rotation of ball. 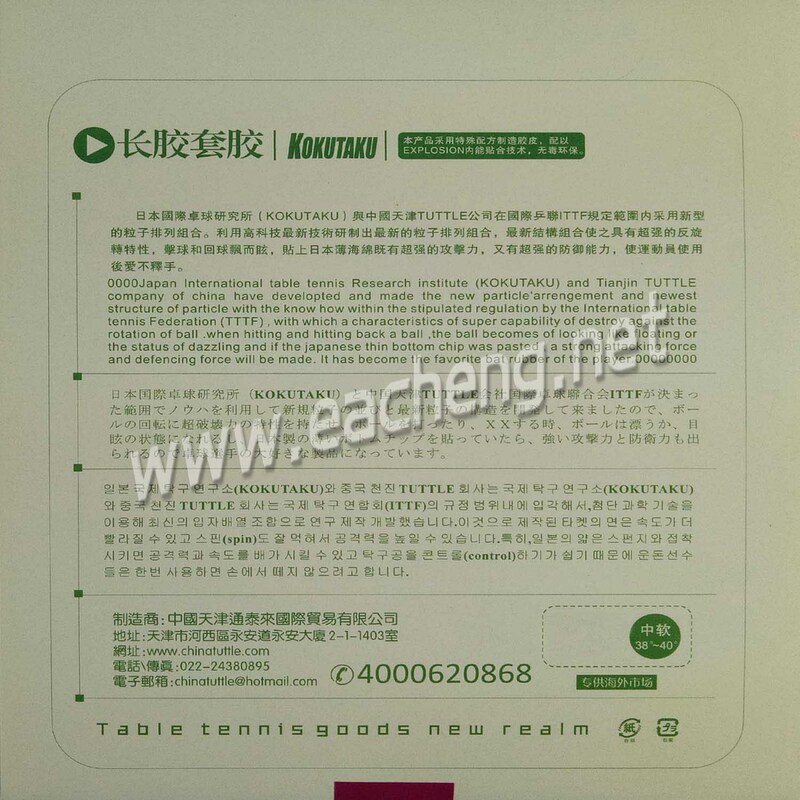 When hitting and hitting back a ball, the ball becomes of looking like floating or the status of dazzling and if the Japanese thin bottom chip was pasted, a strong attacking force and defencing force will be made. It has become the favorite bat rubber of the player.